Educational module and Electronic library. В¤ allows the users to work out their own tests that can be kept and passed to other users. В¤ is a user`s assistant during reception of a patient. 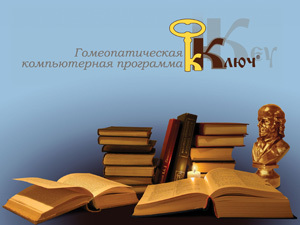 Key and Peresvet Homeopathy form common program system with all opportunities of modern homeopathy.